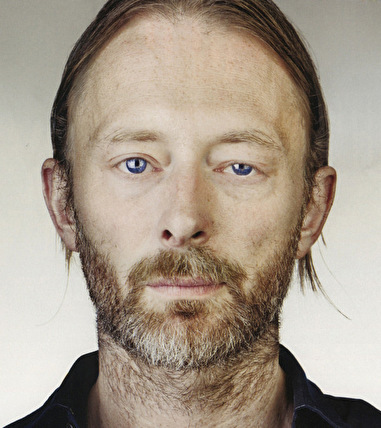 Thomas Edward Yorke (born 7 October 1968) is an English musician who is the lead singer and principal songwriter of the alternative rock group Radiohead. As a singer, Yorke is recognisable by his distinctive tenor voice, vibrato, frequent use of falsetto and ability to reach, and sustain, notes over a wide vocal range. He mainly plays guitar and piano, but he has also played drums and bass guitar. Yorke is frequently cited among the greatest singers in popular music; in 2005, Blender magazine named Yorke the 18th greatest singer of all time, and in 2008 he was ranked #66 in Rolling Stone magazine's "100 Greatest Singers of all Time.